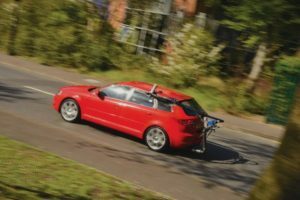 The methodology has been issued by The European Committee for Standardisation (CEN) and covers independent tests that can be used to complement to the new Real Driving Emissions (RDE) regulation. Developed through dialogue and agreement with a broad range of European stakeholders, it will enable the use of on-road tests to capture emissions data, from different test centres, such that the data collected will allow the emissions performance of vehicles to be fairly compared. The criteria for the tests will ensure that a result is valid and repeatable across multiple instances of the same vehicle using Portable Emissions Measurement Systems (PEMS) equipment. Tests will need to be conducted on-road based on at least five trips, on at least two matching vehicles at an average speed between 20 and 40km/h. The move has been greeted by AIR (Allow Independent Road-testing), an independent alliance set up to improve air quality by promoting independent, on-road vehicle emissions testing, which said the methodology is a major milestone on the road to improve air quality in towns and cities.